The best video recorder helps you easily record and edit Vimeo videos. Vimeo is a popular video-sharing platform which allows people to find interesting videos easily. To watch a Vimeo video online, one has to depend on the Internet speed or must have lots of patience to bear the continuous buffering. And, what if you want to save the video for later watching? Often, you can download Vimeo videos, but it is truly annoying when a video downloader takes a lot of time. Trying to record Vimeo videos on Filmora Scrn can be a great solution. You may wondering, there are so many screen recorders, why you should choose Filmora scrn? Ok, let’s check the detailed steps of recording vimeo videos with Filmora Scrn. In order to record Vimeo videos, install the Filmora Scrn software. Click on the blue box with “Install” instruction to start downloading the software. As soon as the installation is complete, users are directed to the “Get Started” page where two more options are available “Quick Capture” and “Video Editor”. Every button has its own functions. 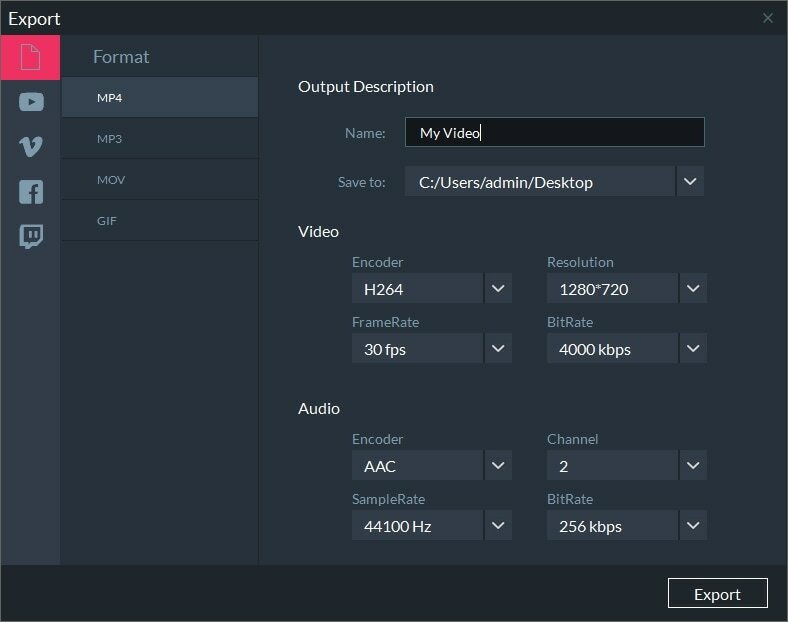 As “quick capture” lets you capture active online Vimeo videos last saved on the PC instantly, the “video editor” lets you edit any Vimeo videos already saved on the computer. But, only the Getting Started option lets you access all the features and set the parameters to record Vimeo videos. Once the user clicks on the getting started page, user will get directed to the Setup page. There are 4 options on this page. In the screen option, you could select the Frame Rate of up to 120fps from the frame rate drop down menu to record Vimeo videos. Next, from the audio option, the users need to select the source of the audio i.e. microphone or the computer. The two other preferences are the camera and the advanced tabs which are optional. The camera is to select the video source and the advanced tab helps in setting up the hotkeys like F9 to start and pause Vimeo videos recording and F10 to start and end the captured Vimeo videos from the keyboard. Once all the selections are made, the user must click on the blue colour Capture button at the right down corner of the Setup page to record Vimeo video. Once the user clicks on the capture button, the recording panel appears. The Vimeo can be opened from this option as well and then check the resolution and size of the Vimeo video screen to fit the play window and finally go ahead with the capturing Vimeo video. No sooner than the user hits the F10 to stop capturing the Vimeo videos, the user is directed to the Your Clips page which is the interface of the Editor Screen. Hit “Go” at the right down corner of the page to export the chosen clips and files to the Editor Screen. In this page the user comes across some advanced and basic editing options like de-noising, rotating, deleting, resizing, cutting, 4k resolution settings, etc. to enhance the captured videos from Vimeo. Cursor effects and annotations can also be added to the recorded Vimeo videos from the Editor Screen. 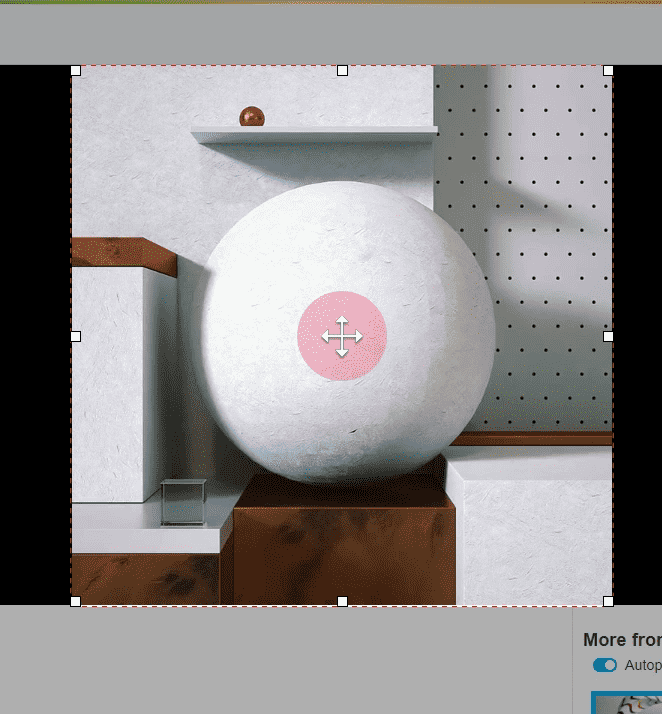 At the top right corner of the Editor Screen, click on the Export and reach the final page Export. Select the format like .MOV, .MP3, .MP4 and .GIF in order to save your Vimeo videos recording in any one of the supported file formats. The user can also share the recorded and converted video directly to some of the social media platforms like YouTube, etc. You don’t need any downloader that can take a long time. Filmora Scrn is easy to use and you may record Vimeo videos in no time. Filmora scrn allows the users to upload files directly to YouTube, Facebook, Twitch. You may edit your recording to trim and cut any unwanted part of the video. Add any of the 300 effects option to enhance the video. Voiceovers, audios, and more can be added to the Vimeo videos. There’s no time limit so you can capture videos for Vimeo as long as you want. If you are a professional video maker or wish to record Vimeo videos, directly using the Filmora Scrn can be the best way. This software also helps in editing the clips and enhancing the Vimeo videos to make it a complete professional video in all respects.